In my 200 hour Yoga Teacher Training, often my students will state – “I have never truly felt postures before” ; or, “now I understand how this pose affects the body ”. I love it when my students reach this level of engagement in their learning process! It inspires me, which in turn inspires them. We feed off each other in the continual discovery of the seemingly infinite layers of yoga that can be revealed. • Why do we practice certain postures? • At what point in class are specific postures appropriate – or not? • When is it appropriate to flow through a sequence, or hold a posture for several breaths? • What are the deeper layer effects of postures on our body, mind, energies? • How does one create a smart asana sequence appropriate to the student, time of day, intention? I can go on and on with these questions. Every serious student of yoga could ask themselves these questions, and every teacher of yoga needs to know the answers to these questions! So lets begin. Why do we practice certain postures? Every pose prepares you for the next pose. This is a very simple answer that requires one to contemplate alone in private practice. When is it appropriate to flow through a sequence, or hold a posture for several breaths? Everything in life has a beginning, middle, and end. Postures in the beginning of a practice should bring awareness into the body and focus into the mind. The middle of a practice cultivates a specific energy. The end of the practice delivers the resin of all that came prior. The simplest answer….. When we flow with breath we experience a tuning-in with our breath/body. When we hold a posture we experience that posture to gain a deeper connection to our physical body within that form. Flowing is fun but it often can allow for a sloppy/floppy practice. Holding an asana for several breaths is smart, but can be difficult for the beginner teacher to lead effectively while engaging their class. What are the deeper layer effects of postures on our body, mind, energies? 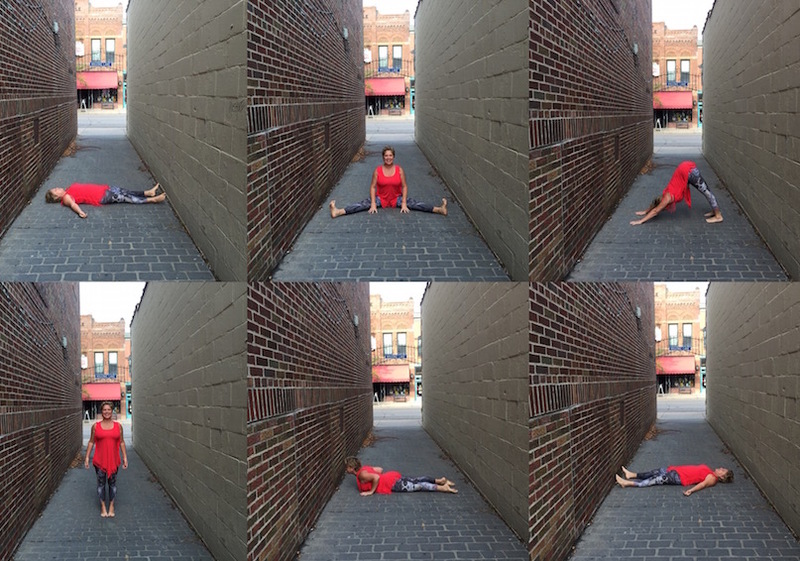 How does one create a smart asana sequence appropriate to the student, time of day, intention? I’ve been teaching for over 30 years now, and for 30 years I’ve lead classes very much the same. We begin lying down- face up on our mats, then sitting, progressing to our knees, followed by standing postures, often then moving to lying down on our belly, ending back at the start to finish the practice in Savasana. It is a very simple and effective formula that allows for a wide variety of asana exploration in each phase of the practice. Yoga is about tuning in, beginning with lying on our backs, we can tune into ourselves better than any other position in my opinion. Yoga is about ahimsa (do no harm). Moving through a practice this way allows for the physical body to open up from the spine. Yoga is about finding peaceful purpose within ourSelves. Building a practice that grows from the Earth and returns to the Earth honors the natural rhythm we all share, with each other and this Universe. Give this a try for a few days/weeks with this intention in mind. Then, please let me know what you think. Learn more about teacher training and yoga therapeutics, at www.mariannewells.com. Thank you, Marianne! This was very helpful!!! I love the cycle that your favorite sequencing promotes too Marianne ~ we begin as we end within the creation, the preservation, the destruction that unites all cycles of our lives and existence. Grateful for you sharing this wisdom here!